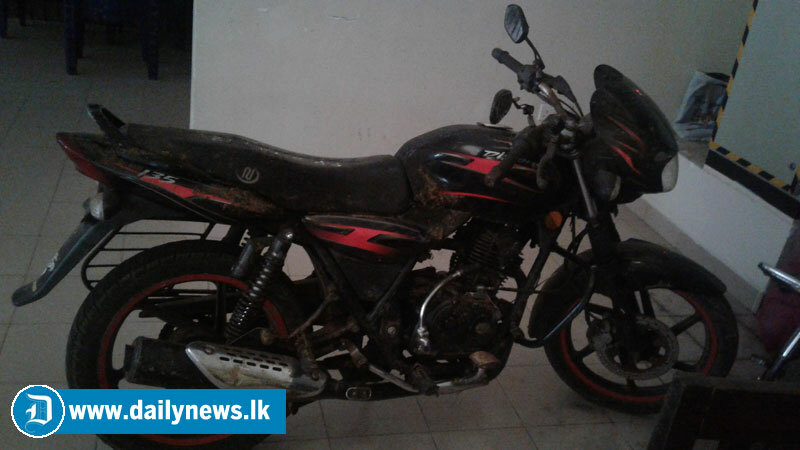 Based on information obtained through interrogation of the suspect arrested over the shooting incident at the Tangalle, Kudawella fisheries harbour on December 25, 2018, the police had found the motorcycle used in the shooting, which was hidden in a drain on a coconut estate in the Beliatta police division on Sunday. Two helmets believed to have been used by the shooters had also been found in a burnt state on the estate and the police have sent it to the Government Analyst for testing. Meanwhile, the police had also arrested another suspect believed to have aided and abated in the shooting around 10.00 am today from the Beliatta, Galagama area. The suspect has been identified as 31-year-old H.K. Randika Sampath, a resident of Galagama North, Nakulugamuwa. He is expected to be produced before the Tangalle Magistrate tomorrow. The Tangalle Police is conducting further investigations.